The Americans with Disabilities Act (ADA) went into effect in 1992 with the goal of putting an end to the discrimination of disabled people in the workplace. There are regulations set forth in the guidelines that dictate where interior office signs should be mounted and how they must look. Specifically, the requirements for signs refer to providing markers that feature tactile, symbolic, pictorial, and verbal information. In order to comply with the ADA, it is important that your organization knows about the details and scope of the rules. You will more clearly communicate information to people of all abilities once you follow the guidelines. Thankfully, Citrus Sign Studio has you covered when it comes to ADA signs and Braille signs for Winter Haven, FL. What Signs Do You Need? The signs listed above are not the only ones you find in an office complex. For the other signage, the compliance rules are not as strict. For example, there typically are not ADA requirements for temporary markers, including those used for promotional purposes, window displays, and semi-permanent building directories that vary depending on the office tenancy. 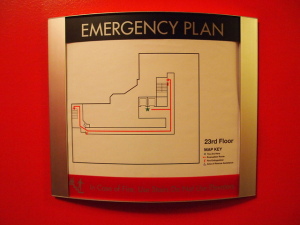 What Do ADA Compliant Signs Need? The ADA guidelines are aimed at providing better accessibility and usually deal with problems of readability. Fonts should be non-decorative, sans serif, and simple. 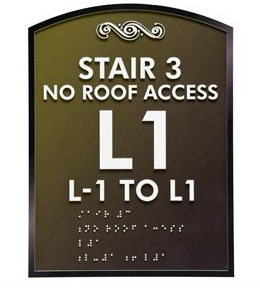 Letters and symbols on signs should be raised and include grade 2 Braille for tactile readers. For those with failing eyesight, there needs to be a contrast of at least 70 percent between the letters and their background. Also, there are specific requirements for where signs should be mounted so they can be found easily. The guidelines are very specific and can be a bit daunting for the layperson. Fortunately, we can perform a site survey of your facility and tell you exactly what you need. From our headquarters in Orlando, we love making the trip to Polk County to perform site surveys and installations in Winter Haven. Though “The Chain of Lakes City” only has a modest population of 35,531, there are always things to do with all of the fishing and waterskiing available. There are also several big employers bringing work to the area. They include LEGOLAND Florida, Winter Haven Hospital, Winter Haven Senior High School (Go Blue Devils! ), Indian River Transport, and more. From Willowbrook Golf Course and Winter Haven Municipal Airport to Chain O’ Lakes Convention Center and Polk State College and everyplace in between, Winter Haven is one of our favorite destinations. If you are looking for ADA signs for Winter Haven, FL, please consider Citrus Sign Studio. Contact us today for a free consultation and quote.